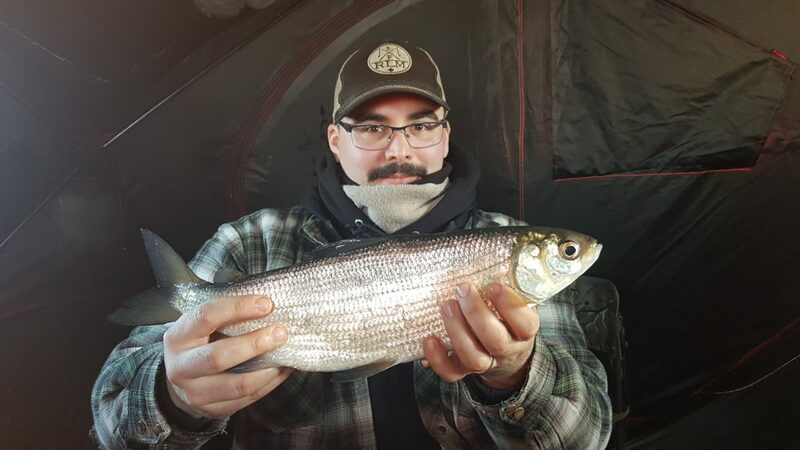 Winter of 2018-2019 has been my first real ice fishing season. Of course, I’ve ice fished before, but I’ve always relied on other people and their gear. 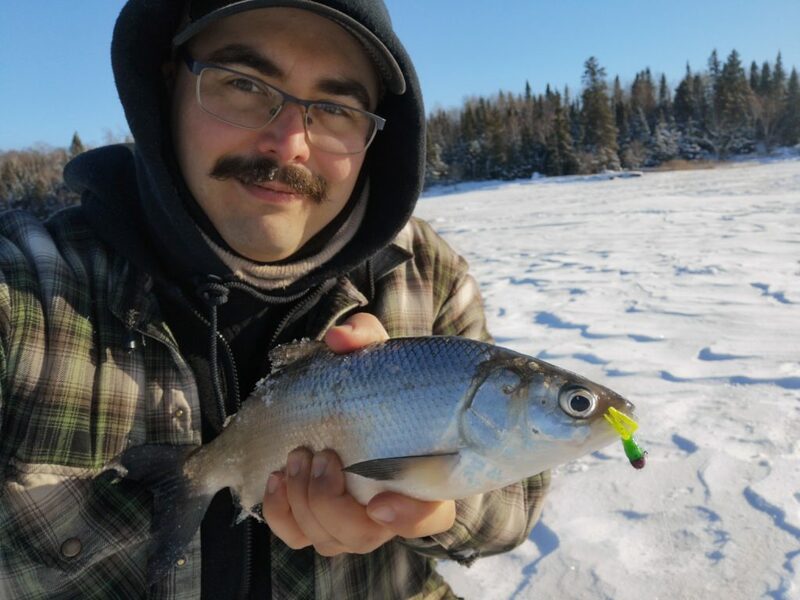 This was the first season I was able to actually go ice fishing on my own, with all my own gear, and even take other people with me! Though the season is not technically over just yet, its unlikely that I’ll get in much if any more time on the ice. So I figured it would be a good time to reflect on my first real ice season, how I did, lessons learned, and plans for next year. I would have a hard time classifying this season as anything but a success. Not only did I catch a fair amount of fish, but I got onto a brand new species. My good friend Dave introduced me to cisco and I was immediately hooked. 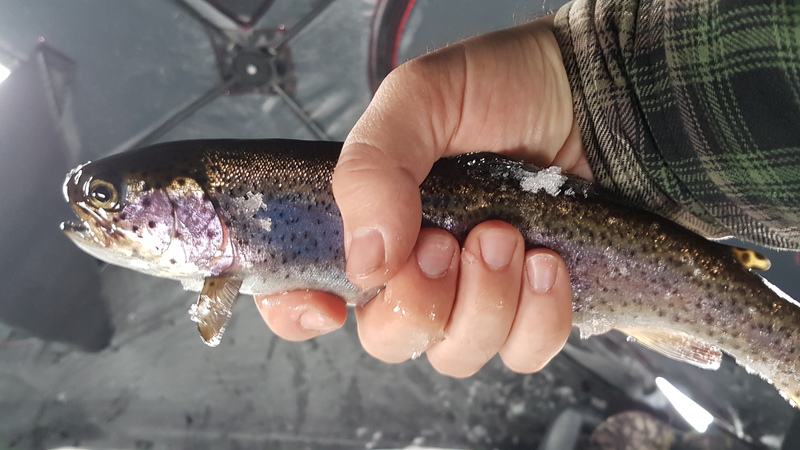 These have been by far one of the most fun fish for me to catch in winter. They are abundant, hard fighting, and even though you fish them on light tackle they grow to a respectable size. To top it off, they have multiple uses as either a smoked treat or as full sized natural bait for pike or lake trout. 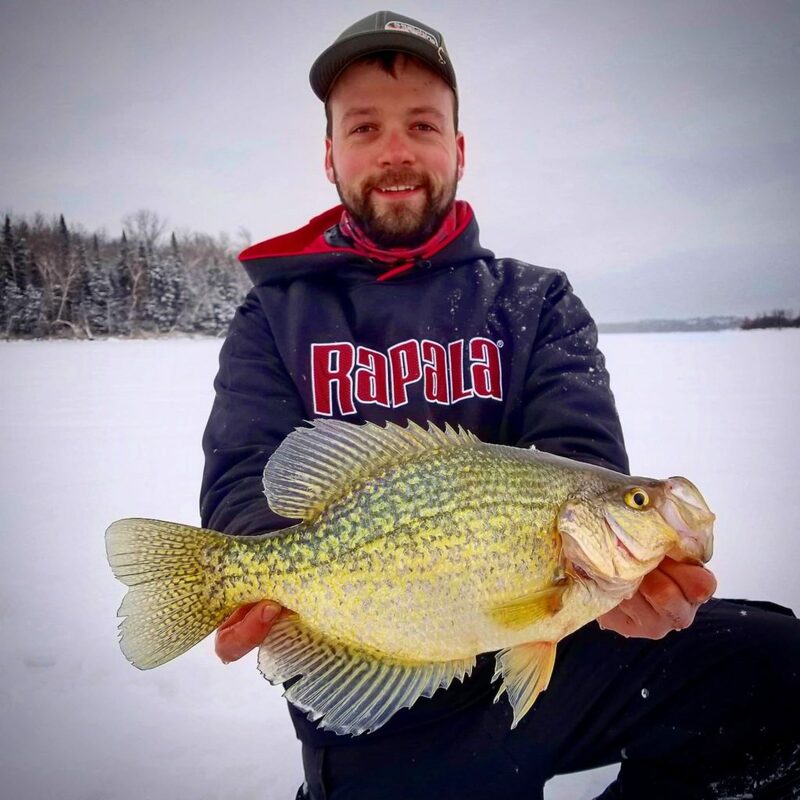 Because you fish them on light tackle, you have the potential of also catching other panfish, such as perch and crappie. This ended up being a lot of fun, not ever knowing exactly what was biting on the other end of the line. I was privileged to be there when Dave caught his new personal best crappie, which was an awesome experience. Not only did I get my species specialist for the cisco, but I managed to pull in a decent sized perch as well which is rare for me. This season, I finally had all the necessary gear to head out ice fishing on my own. Finally, I didn’t need to rely on Uncle Randy, or Dave, or anyone else to take me out to the ice. Not only that, but I was able to actually take other people out who didn’t have their own gear, bringing the whole experience full circle. 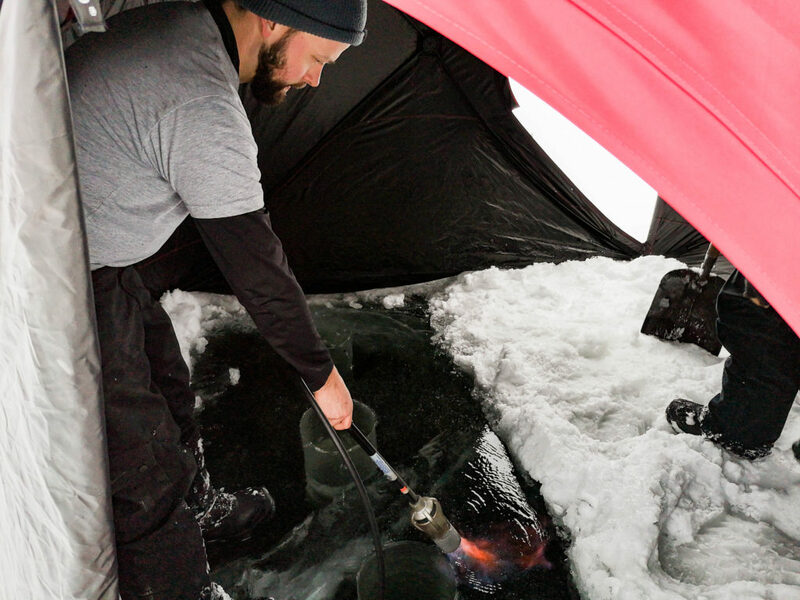 That is one of the great things about ice fishing, and really just fishing in general, sharing the experience. I was able to take a variety of people out with me this season, providing all the necessities, and even catching some fish. My Eskimo Quickflip shelter was given to me by the old man and can either attach to a quad, sled, or be carried in the box of my truck. I can fit 3 people with gear fairly comfortably. It worked out great. 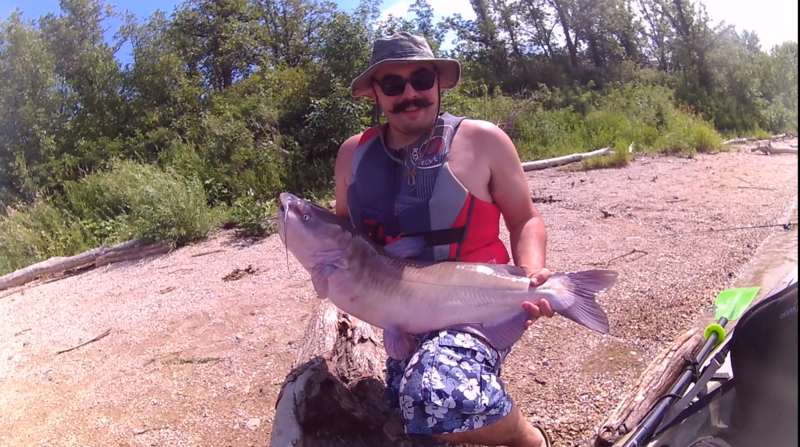 Overall, I had never felt the need to use a flasher while walleye fishing on the river. You drop your jig and minnow to the bottom and wait. However, once Dave got me onto cisco and other panfish I saw the clear need to pick one up. It took a bit of shopping around but I ended up with a Humminbird Ice 45 which I’ve been very happy with. Rounding out the gear list I picked up a Jiffy brand 10″ ice auger. For heating I went with a Mr Heater Big Buddy. Of course, I already had rods and tackle, but that didn’t stop me from grabbing a new ultra light and light Shakespeare Wild Series rod. All in all, everything I’ve picked up this year has performed very well. 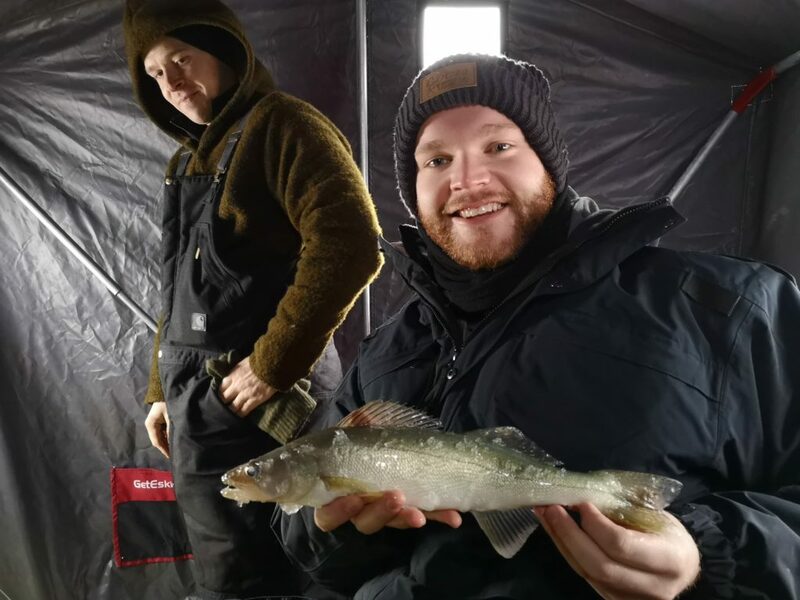 The one big disappointment during this ice fishing season was the lack of walleye. Not for lack of trying, of course, but the Red River where I normally fish was just completely unproductive for me this year. From all the reports I’ve gotten from friends and family, it has been largely unproductive for everyone. It’s a real shame, and likely a sign of a crashing fishery, which has been warned about for years now. 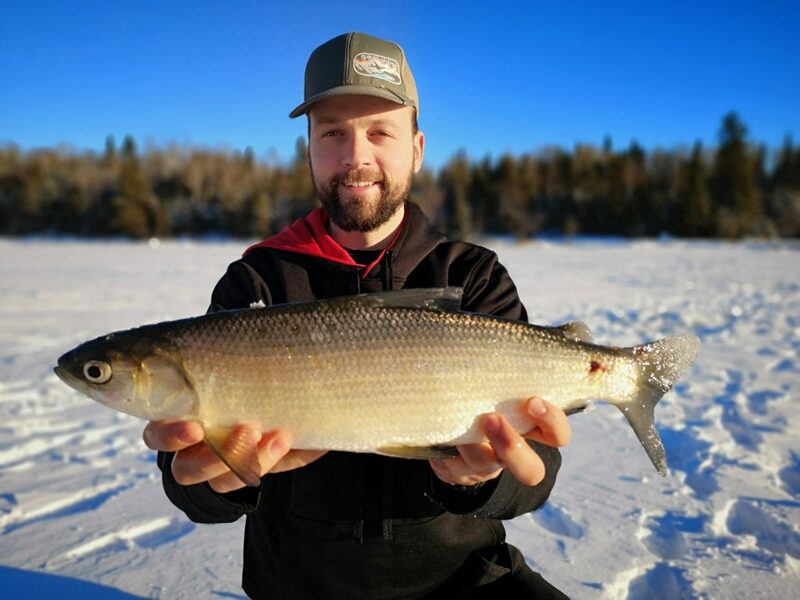 Anyone who follows the True North Wilds Facebook page knows that the state of the fishery on Lake Winnipeg and it’s tributaries is a topic I follow closely. I share relevant information when I come across it. 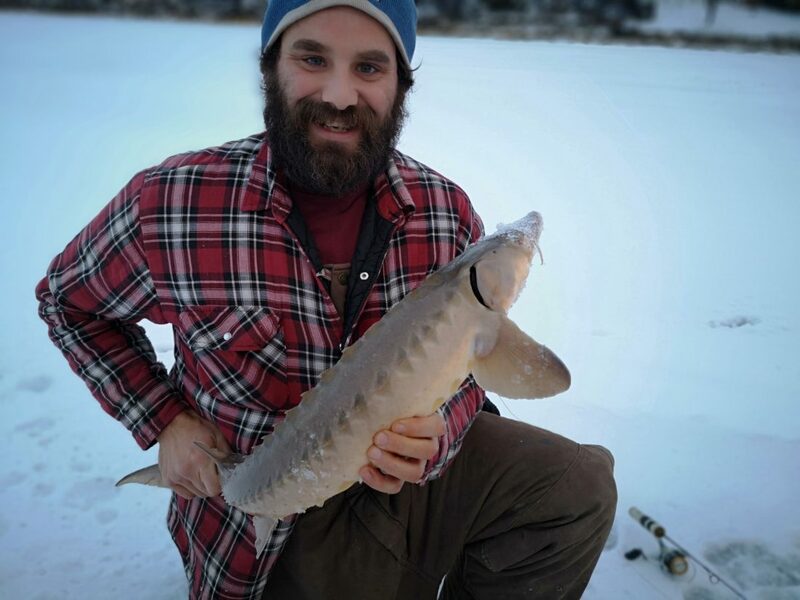 This last year saw even more articles and studies than usual, as the Manitoba Wildlife Federation took a leading role in encouraging sustainable practices. Fortunately, it seems like the MWF is making some headway as the government is finally taking steps to address sustainability. 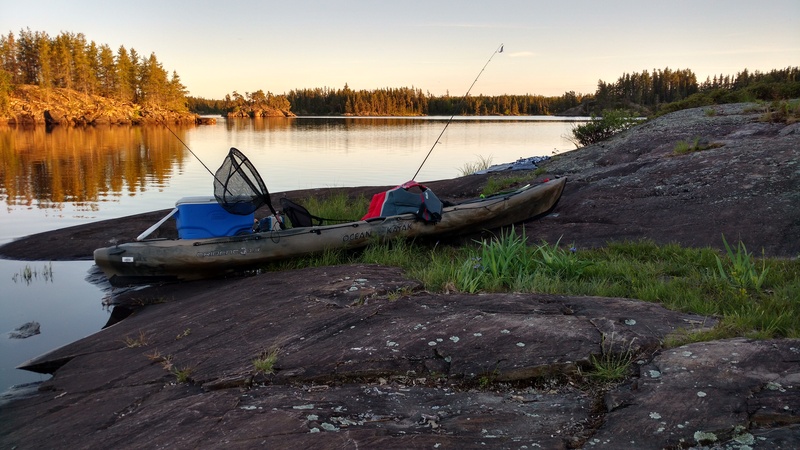 This is very encouraging news, as anyone who fished the river this year has seen firsthand the decline of walleye populations. 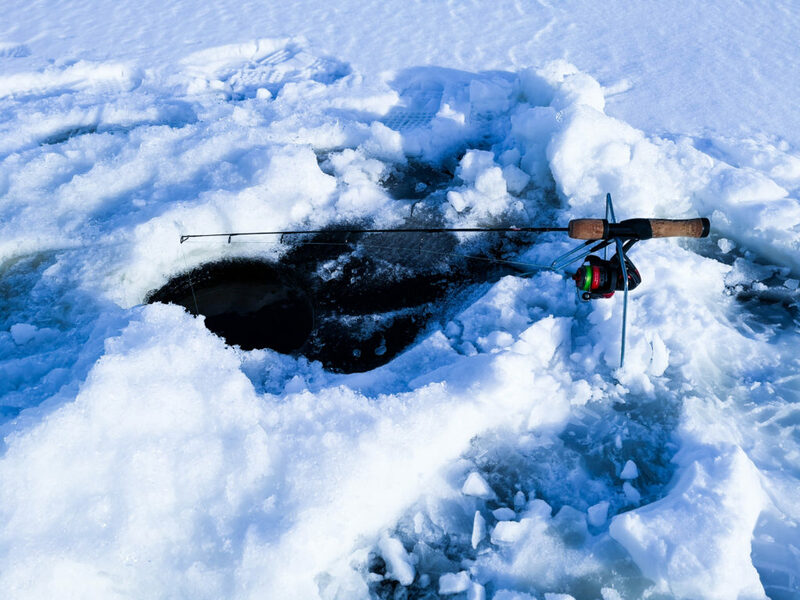 Overall, my thoughts on the ice fishing season are a mixed bag. Much like any other fishing or hunting season, I wish I had gotten out more often. I wish I had caught more fish, of course, and bigger ones. However I really can’t complain. Not only did I get onto a new, fun species, but I got a lot of new gear which performed well. 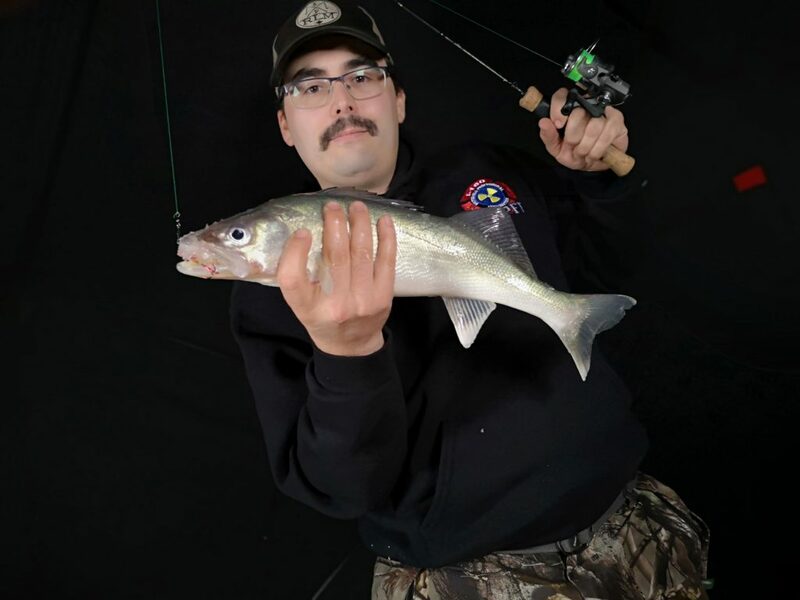 I do worry about the state of the walleye fishery going forward, and I am disappointed at the lack of greenbacks this year. However, I am also encouraged that steps are finally being taken and that the issue seems to be gaining a wider awareness. To be honest, the river being dead was a big push for me to branch out and try new areas and new species too. So all in all, it was a good season, and I have a lot to look forward to for next winter. Hopefully that is a long ways off though, bring on spring!